Best Rate Auto Sales, a Windsor & Essex County Used Car Dealer works with over 40 financing institutions to bring you competitive rates and terms on vehicle financing. As a matter of fact we probably already work directly with your bank. This allows us the opportunity to find the best financial terms available for every customer and your individual credit situation. APPROVED CAR LOANS with Banks, Lenders who compete for your business by offering the lowest rates, or In-house Financing. NO CREDIT CHECKS for Used Cars in Windsor, ON. All credit types. We specialize in Auto Financing. Our in-house Financing Team is ready to get you approved no matter how your credit condition is: No Credit, Bad Credit. BAD CREDIT CAR LOANS. BAD CREDIT TRUCK LOANS. BAD CREDIT SUV LOANS. BAD CREDIT MINIVAN LOANS. Cheap car loans. Divorce? Bankruptcy? Proposal? New to country? Or just need a second chance? APPLY TODAY FOR YOUR AUTO LOAN. When you receive financing through our dealership it allows you to enjoy a quick competitive way to get your vehicle right away! Our finance department is focused on ensuring your experience with our Windsor dealership exceeds your highest expectations. Friendly finance managers work with you to ensure you get the right finance program at the most competitive rates. We can work with any type of credit! Best Rate Auto Sales strives to work with each customer to ensure your satisfaction. You can save time now by using our quick pre-approval form to qualify for one of our finance programs. Additionally, we provide you with a payment calculator to estimate your buying power and monthly payments. 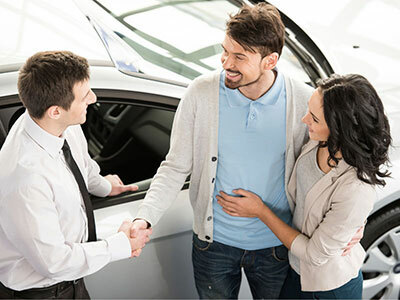 The rate is determined by your individual financing package and is influenced by the term of your loan or lease, the amount financed, credit history, and the residual value of the vehicle you lease. At Best Rate Auto Sales we are pleased to offer you the lowest possible interest rate on your next car, SUV, van or truck loan. We are located in Windsor, Ontario and also serve Tecumseh, Belle River, Leamington, Tilbury, Chatham, Lakeshore, La Salle, Essex, Kingsville and throughout Southwestern Ontario.